"What advantage, then, is there in being a Jew, or what value is there in circumcision? Much in every way!" 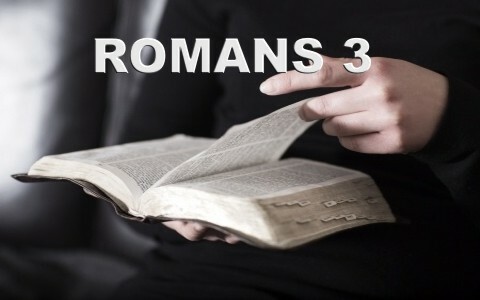 (Romans 3:1-2). This question naturally arises from Paul’s discussion in Romans 2. He has just spelled out the fact that being a Jew externally was no guarantee of entrance into the kingdom of God, and even the covenant sign of circumcision was no guarantee of getting into heaven. From what Paul has been saying, we might expect him to conclude that there is no advantage to being a Jew and having the sign of the covenant, but that is not what he says. Rather, Paul argues just the opposite. There was a tremendous advantage to being a Jew. First, for instance, the Jews were given the very words of God, the Bible (Romans 2:3). They were brought close to the truth about God and reality. They did not have to try and figure it out from natural revelation or from distant rumors about God’s dealings with Israel. They had the truth close at hand. The same things are true of membership in the church. Simply being a member of the church and being baptized is no guarantee of heaven. Thus, we may ask the same question: What is the good of being a church member? And the answer is the same, “Much in every way!” First of all, the church provides an environment of spiritual growth and nurturing for Christians. Second, however, even if a person is not truly converted, there is still an advantage to being a member of the church. Within the church, the means of grace are most heavily concentrated. These are the means God uses to lead people to salvation: preaching, sacraments, prayer, and fellowship with believers. A person is much more intensely exposed to the truth, and much more likely to hear it and be saved, inside the church. How seriously do you take membership in the church? While the church does not save us, God created it as a great benefit for us. Too often Christians neglect or take lightly the opportunities for ministry and service that God provides through the church. Are you taking full advantage of these benefits and fully supporting your congregation?